Do you ever have those weekends where you feel like EVERYTHING & NOTHING is going on at the same time? No? Just me? Okay then. 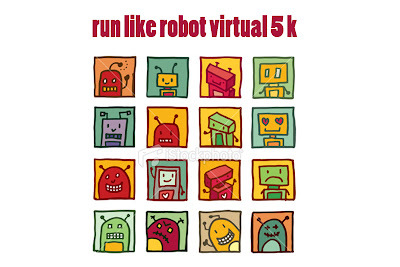 I have been working on our Virtual 5K shirts. Here are the designs. There is a beer option, a robot option and a KFC Double Down option. Please leave your thoughts in the comments. There are currently 17 racers from lots of different places (which I am super pumped to share with you.) The race is June 19th. I intend to post a list of runners on June 1 w/ their city and state and country...and then photos of all of us in our shirts after the race weekend. I hope you will cheer us on if you are not participating. If you did not receive an email from me and are interested in participating (and a free shirt!) let me know via email. There are a few spots left. To those of you who did receive my email, apologies for the overuse of exclamation points. I just want people I don't know to think I'm NICE!! and excessive exclamation points seems to communicate this, yes? Anyway, here is a tshirt that makes fun. I like the idea of running in a Double Down shirt b/c a 5K probably wouldn't even come close to burning the calories of one of these monsters. Next our robot shirt. Obviously the shirt won't have a watermark on it. How cute are these robots? Found them on istock. And finally A BEER SHIRT! 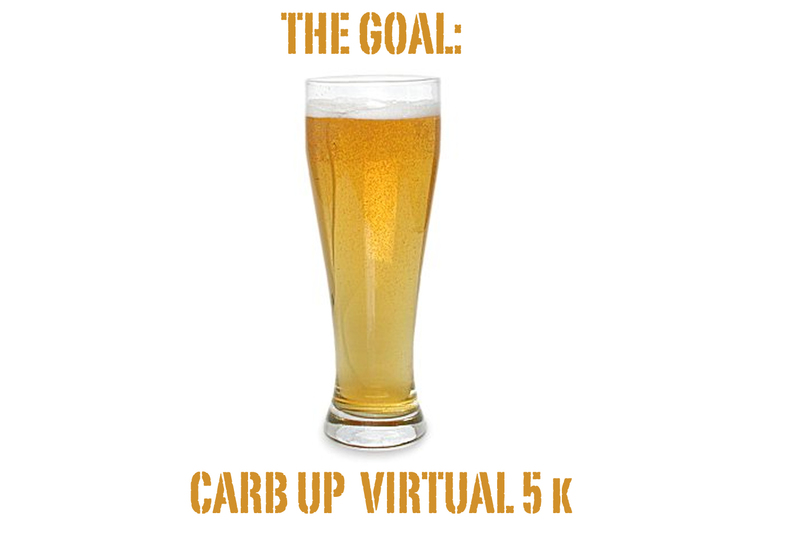 Cause who doesn't love carbing up before and after a run with beer (and maybe during?!). Ok send me an email or leave me a comment? The shirts won't be that fancy but they will be fun! OH and I know it's improper/unspoken running etiquette to run the race in the shirt FOR the race, but, maybe make an exception this time? Pretty please? Cute shirts! 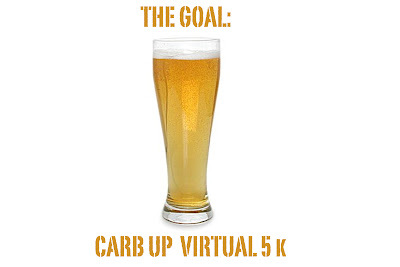 Yay for the virtual 5k! 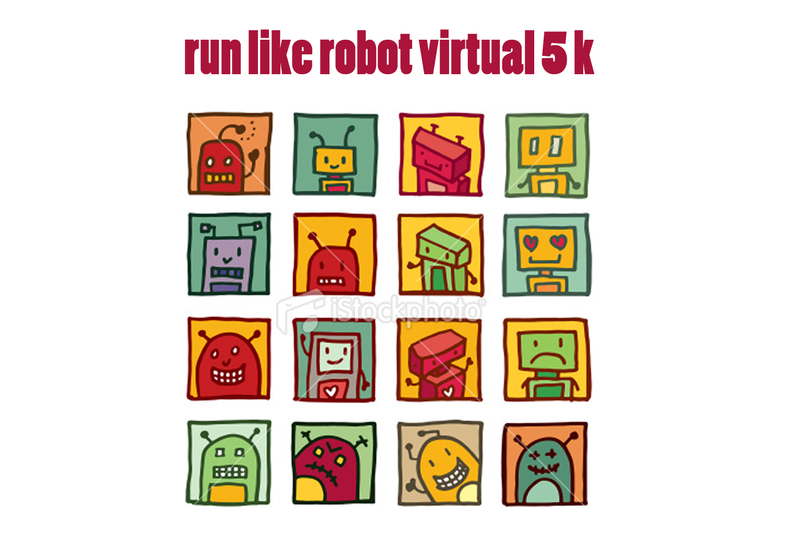 I'm not participating in the run (for obvious reasons, but I TOTALLY would if circumstances were different) BUT I will still tell you that I like the idea of the robot shirt because it's a VIRTUAL race and robots and virtuality (is that a word?) sorta go together for me! Perhaps that's only me though? On the other hand, I love beer. So there you go. 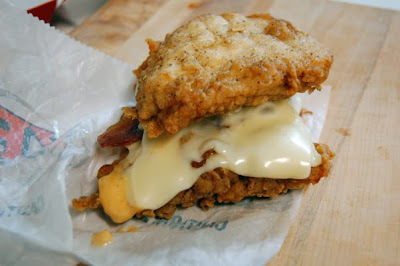 And, uh, the KFC Double Down thing kind of made me throw up just a little. Never heard of it, but it MIGHT be the most disgusting thing I've ever seen. 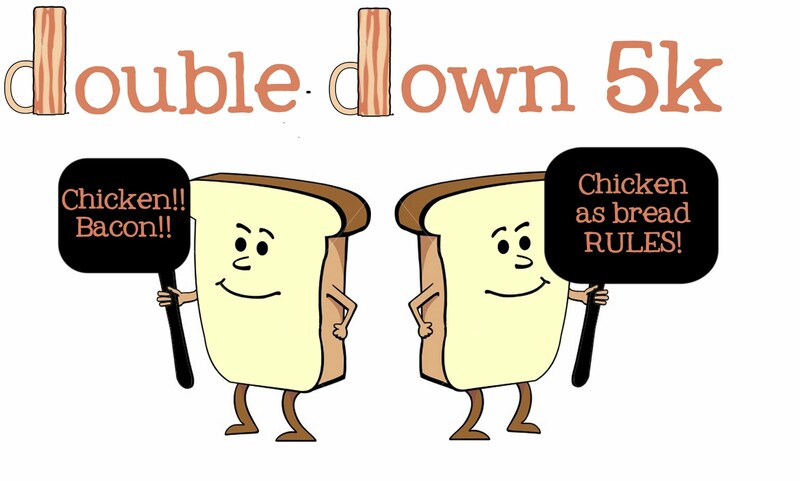 i want a double down. and i don't care who knows it. Robots are cool. The double down is NOT. I love me some fast food, but DAMN that thing is creepy. I wonder what Bob & Jillian would say about it? Ha. I'm installing a wedding in San Diego on June 19th so unfortunately won't be joining you... but I sure do like that robot shirt! Ca-UTE! Also, that KFC image makes me want to puke. In fact, it LOOKS like puke. Groooossssss. Robots are cute, beer makes me nostalgic, and that chicken thing is inexcusable. Wow. I will not be eating any of those in preparation for the big day. I'm for the Beer shirt, and then the Robot shirt. Thanks for organizing - you rock. I obviously can't participate as I will have just delivered 2 babies (and can't remember the last form of exercise I had), BUT I know you want my opinion anyhow. I say #3. Susan voting for beer! Surprising? Not so much!